Sure, you go to Rome to understand the glory of the ancient empire, Florence to comprehend the Renaissance, and Milan to see contemporary fashion and design. But you can't understand the true meaning of la dolce vita until you’ve boarded a boat bound for the Amalfi Coast. On this slice of Italian paradise jutting out into the Bay of Naples, the scent of fresh lemons perfumes the air, pastel houses cling to cliffs rising above turquoise waters, and tanned vacationers laze around on daybeds on stretches of beach. 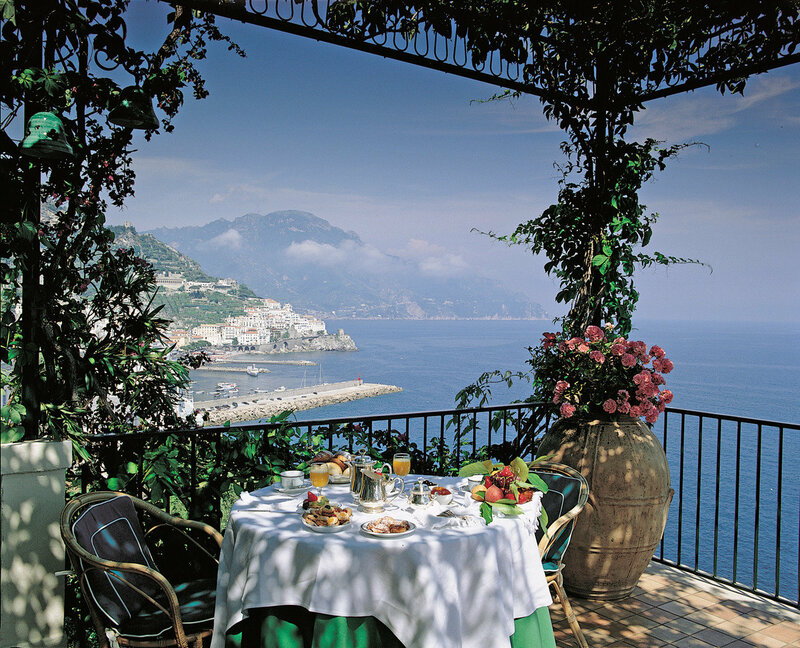 Read on for how to do the Amalfi Coast the right way. 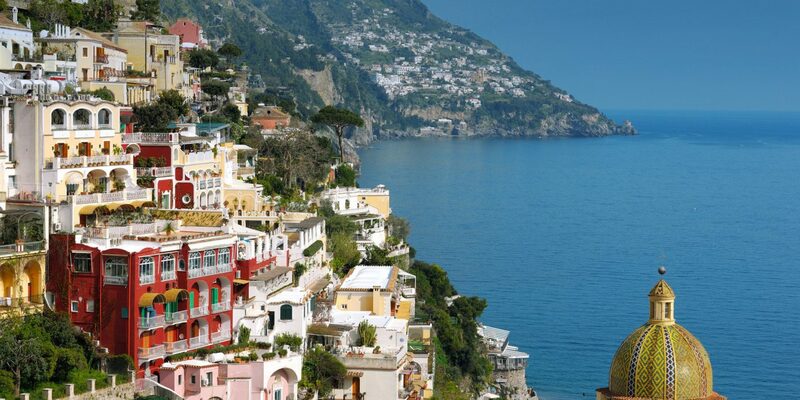 By far the most famous town on the Amalfi Coast, Positano was once a humble fishing village. Today, you’re more likely to see selfie stick-wielding tourists on the tiny streets and beaches than local fisherman, but luckily, the stunning sight of those pastel-hued houses and domed cathedral clinging to the cliffs make up for the crowds. Before the area was well-known, Steinbeck stayed at Le Sirenuse, which is still the most famous hotel in town. 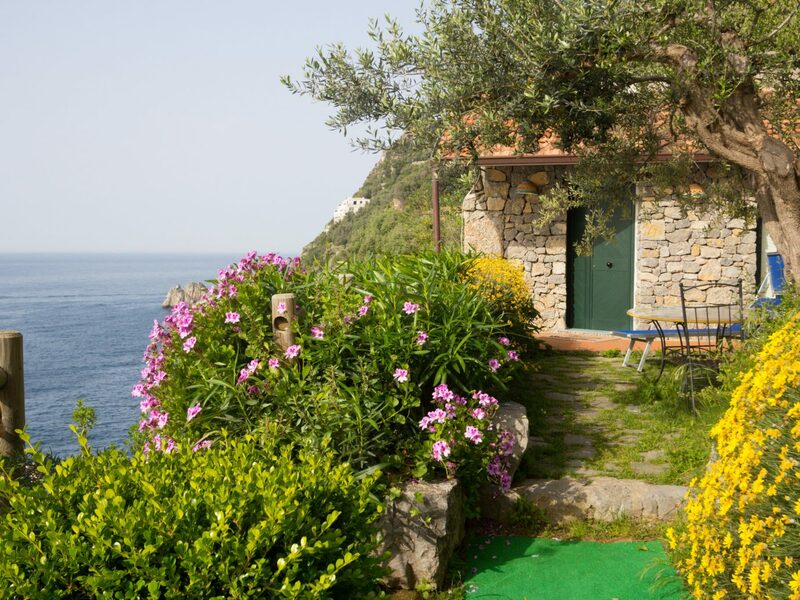 Run by the Sersale family, the 58-room property is a bit of a pilgrimage site for Americans and has a gorgeous restaurant with knockout views of the Med. It’s easy to bypass Nerano on the way from Sorrento to Positano, but stop for an al fresco lunch or dinner at Lo Scoglio and you won’t regret it. Poised above Marina del Cantone, where boats bob in the harbor and resident kids swim, this family-run trattoria exemplifies the easygoing yet glamorous ethos of the coast. (Members of the Onassis family were some of its first customers.) Since 1958, the De Simone family has served excellent pasta, seafood, and other regional specialties using their own olive oil, vegetables from the family farm, and the freshest shrimp, clams, and sea urchin the local fishermen pull out of the Bay of Nerano. Afterwards, do as the locals do and cool off with a refreshing dip in the bay followed by a mid-afternoon nap on the beach. You’ll find this tiny blip of a town halfway between Positano and Amalfi. From the coastal road high up on Monte Tre Pizzi, you’ll have to navigate your way down the long, winding steps to the sea, but it’s worth the journey to savor a lazy lunch at il Pirata, where a cluster of tables on a wooden platform is the very definition of al fresco dining. Order some fresh fish and pasta accompanied by a crisp local wine (but don't blame us if you might find it hard to tear yourself away from the table). The town from which the coast gets its name is a charming maze of narrow streets, whitewashed buildings, precipitous steps, and beautiful beaches. Its main attraction is the Duomo di Sant’Andrea, an imposing 9th-century cathedral with distinctive black-and-white tiles, Moorish architectural influences, a bell tower, and a wide staircase that leads to the piazza. In the streets radiating out from the church, you’ll find all manner of shops selling coral jewelry, painted ceramics, hand-made stationery, leather goods, sweets, and more. Looking to stay awhile? 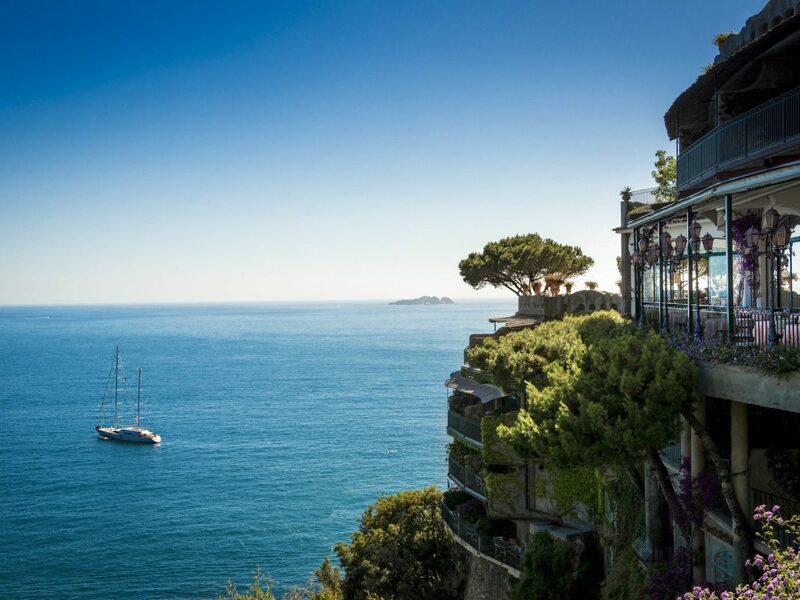 We love the five-star Hotel Santa Caterina, set in a 19th-century, liberty-style villa above the sea whose comfortable rooms and suites are fitted with colorful tile floors, white linens, and great views. Guests can enjoy the private pool and beach club accessible by a glass elevator. 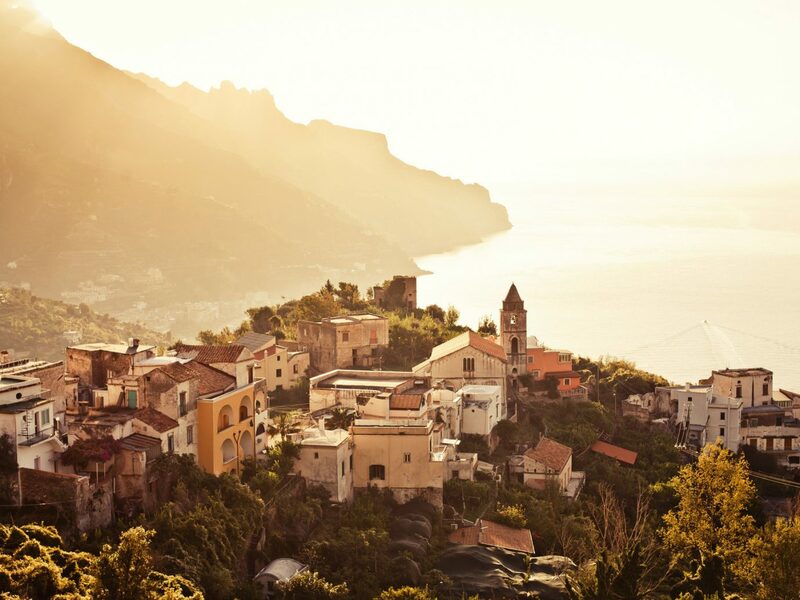 The secret may be out, but Ravello’s high altitude protects it from the kind of overcrowding you’ll find in Positano. Many tourists gather around the main piazza, but keep climbing up a hilly path and you’ll eventually reach Villa Cimbrone. 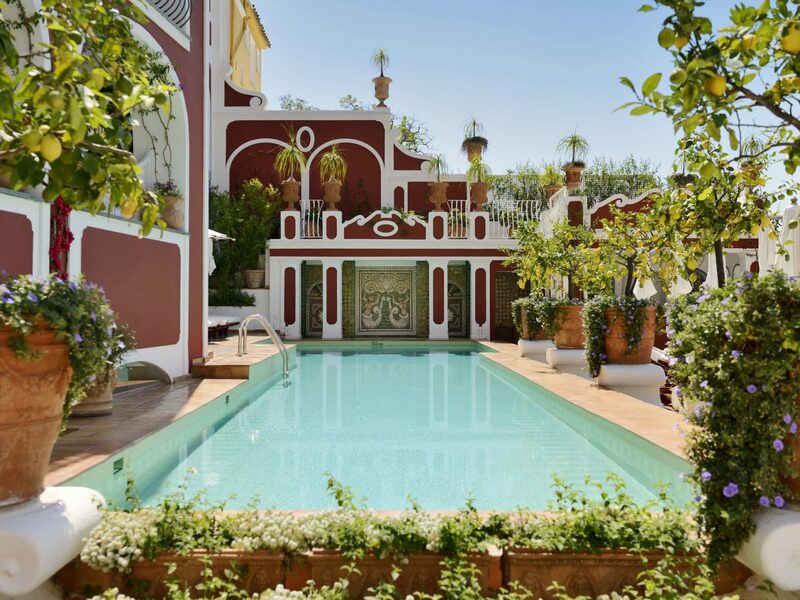 Built in 1905 and made famous in the 1930s when Greta Garbo sought R&R here, the villa boasts gardens with some of the most breathtaking views on the Amalfi Coast (especially from the terrace punctuated by stone busts). 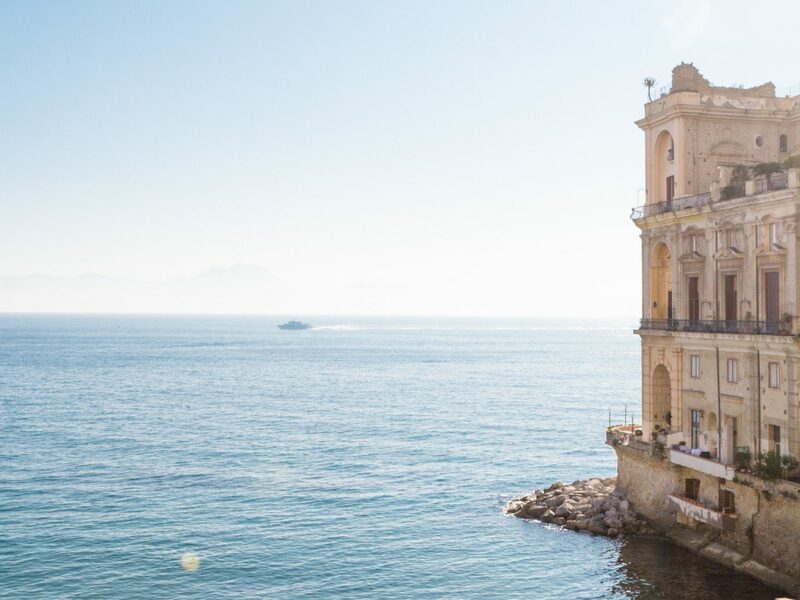 Befitting the town’s low-key luxury, the Palazzo Avino and the Belmond Hotel Caruso are favorites for those who favor privacy and tranquility. The former has just 43 rooms and suites, the Michelin-starred Rossellinis Restaurant, a casual martini bar, spa, and swimming pool overlooking the sea. The latter, set in an 11th-century palace, features fresco-covered ceilings, an infinity pool, and complimentary boat tours. 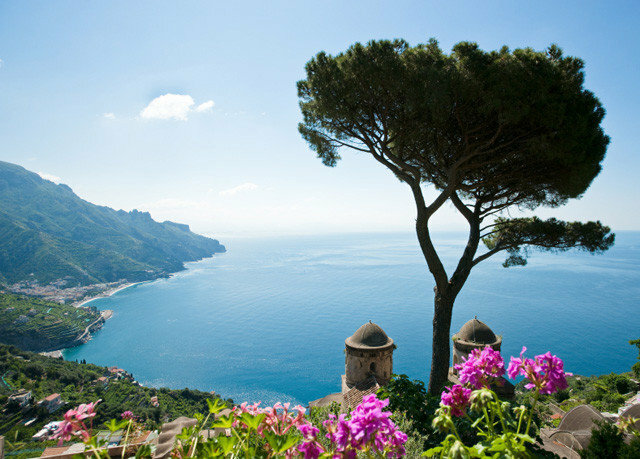 From July to September, Villa Rufolo hosts the Ravello Festival, a classical music festival in the town center inspired by Richard Wagner, who found inspiration for his compositions here. 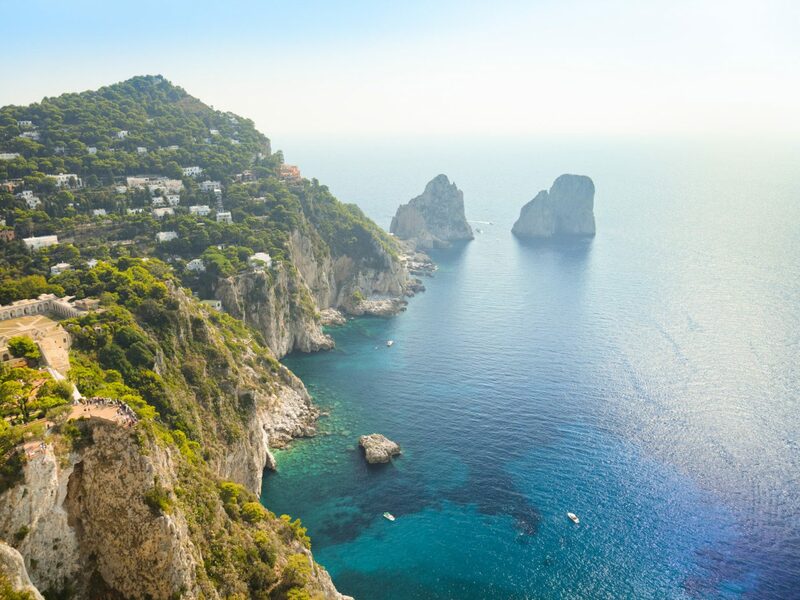 Perhaps more than anywhere else on the coast, Capri is all about glamour. 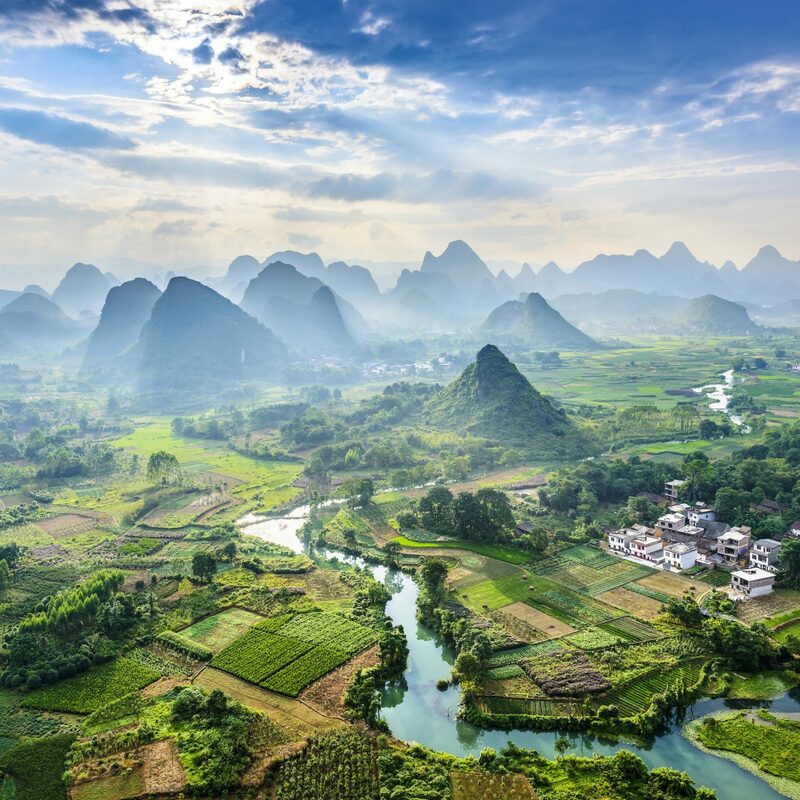 The island’s limestone cliffs and azure waters have drawn vacationers since the days of Ancient Rome, when the emperor Tiberius sojourned there—though it was Jackie O., Elizabeth Taylor, and Brigitte Bardot who revived the island’s appeal in the 1960s. These days, you’ll find a mix of old and new: big-name boutiques like Fendi and Hermès sit alongside traditional sandal makers like Da Costanzo and jewelers like Angela Puttini, while sites like the magical Grotta Azzurra (blue grotto) and Monte Solaro on Anacapri, with its spectacular summit views, retain their timeless appeal. If you decide to take a day trip to Capri, keep an eye on the ferry schedule, as the last boat departs the island around dinnertime. 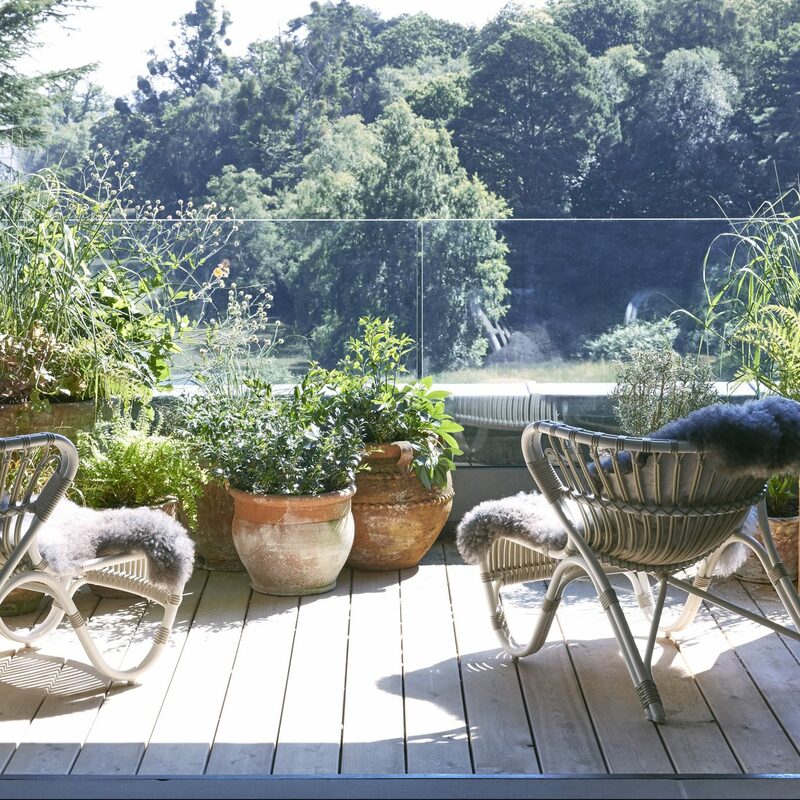 For a deeper dive, we suggest staying overnight at the stylish J.K. Place Capri or historic Grand Hotel Quisisana. 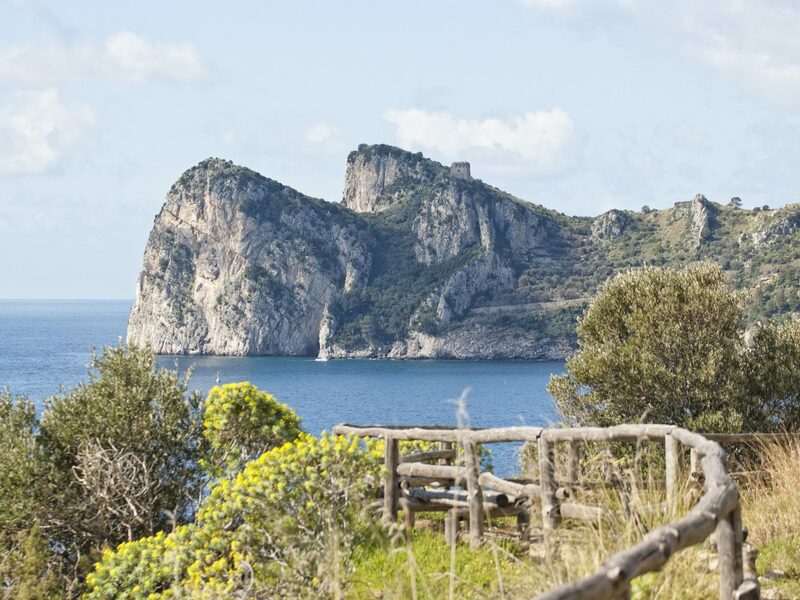 Though less famous—and less developed—than Capri, the island of Ischia is having a moment thanks to the enigmatic novelist Elena Ferrante, who depicted the rustic, 17-square-mile island as a sultry escape from Naples in the Neapolitan Novels. 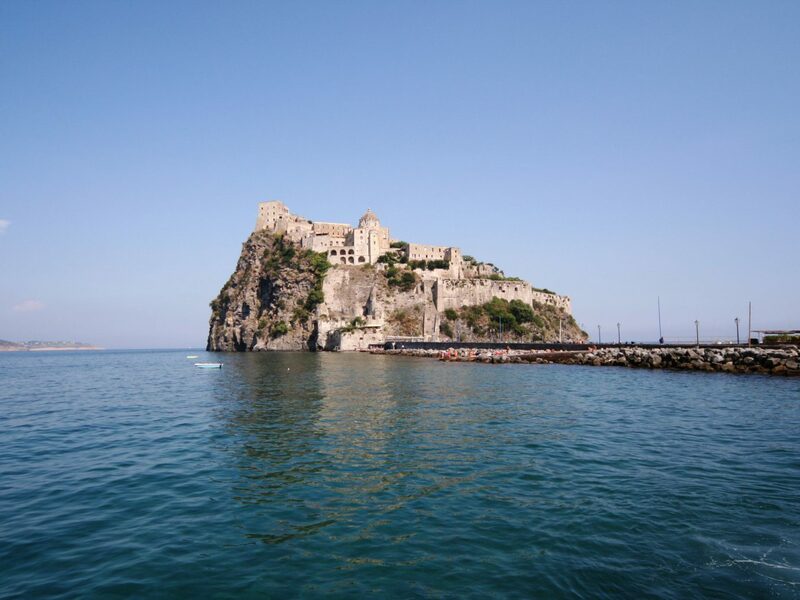 Though Ischia is only just coming onto the tourist radar, Italians have been flocking here for decades in search of the healing properties of the island’s thermal hot springs. A day trip to the baths can be a relaxing way to spend an afternoon: one of the larger complexes, Negombo, is comprised of a series of outdoor pools, waterfalls, and grottos overlooking the sea.